The Silent Kookaburra began its life as Hosing Venetian Blinds, over ten years before it was finally published. So, why did I write it and why did it take so long to see the light of day? Basically, it was a nostalgic trip down the Memory Lane of my childhood growing up in 1970s Wollongong, New South Wales. I wrote Hosing Venetian Blinds, then rewrote it over and over, but for reasons unknown to me, I could not “get it right”. Or as “right” as a novel ever will be. More and more dissatisfied with each draft, on I slogged until one wintery afternoon in 2007, when a phone call interrupted my writing. It was the Gendarmes of Grenoble informing me that my husband had suffered a nasty heart attack on the ski slopes and wasn’t expected to survive. Well, that was all I needed to completely abandon the novel. Onto a hard disk it went, with the vow that it would never see the light of day. Luckily my husband made a complete recovery and eventually I began writing again. But still I couldn’t face rewriting Hosing Venetian Blinds; couldn’t stop equating the novel with that awful period of my life. 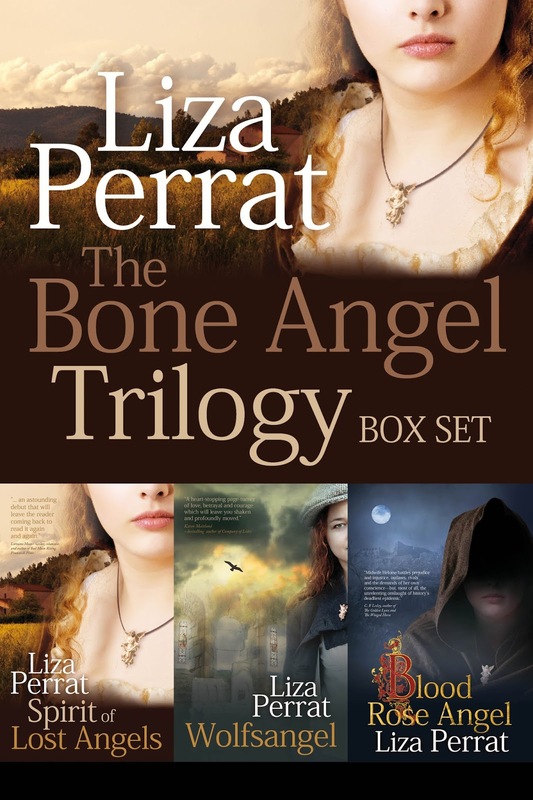 So for the next few years I plunged into a French historical fiction trilogy: The Bone Angel : Three heart-wrenching adventures of three midwife-healers during the Black Plague (Blood Rose Angel), French Revolution (Spirit of Lost Angels) and Nazi-occupied France (Wolfsangel). Once the third story was published I began taking peeks at Hosing Venetian Blinds again. Then I reread it closely and voilà, immediately saw what I thought was “wrong” with the story. I rewrote, and published it, within a year. Even though the book tackles some very dark and disturbing topics, it was fun travelling back to my childhood and teen years, seeing my friends, revisiting those familiar places, most notably the beach. The city has changed a lot since the 70s, but I’m still fond of Wollongong, and love going back there on my yearly pilgrimage home to Australia (I have lived in France for the past 25 years). Fortunately for me, my childhood wasn’t burdened with the same terrible dramas as my fictional character, Tanya. However, I could readily identify with her, as that was the case for some people I knew. Wollongong has a large European migrant community, attracted to the area post WW2 with the offer of work at the Port Kembla Steelworks, which, at that time, was the backbone of Wollongong. One of my very first jobs, at age fourteen, was distributing grocery store pamphlets into letter boxes in this area. Not the long-term career I envisaged, but it earned me enough to buy my first car at age seventeen –– and my independence –– the day I got my licence. So, at five am every weekday, my lovely father would help me distribute these advertising pamphlets into the letterboxes of Cringila, and this cosmopolitan community piqued my interest. I wanted to know more about them; where they came from, what their lives were like. 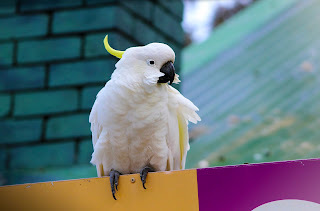 That prompted me to include the Italian migrant aspect of The Silent Kookaburra. 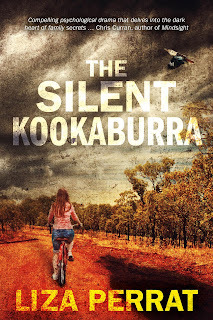 So why this title, when the kookaburra is anything but silent? Well, that’s just it: what might happen if your friendly backyard kookaburra does fall silent? I’m pleased that The Silent Kookaburra has been well-received by readers and garnered some lovely reviews, and very glad I stuck with it to the bitter end! 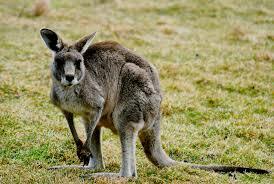 I’m currently working on the next novel, also set in 1970s Wollongong. And there will hopefully be a third in this new trilogy of standalone novels. Compelling psychological drama that delves into the dark heart of family secrets. 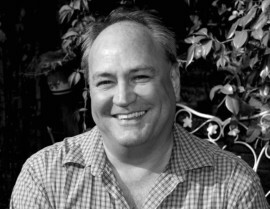 Chris Curran, author of Amazon bestseller, Mindsight. An amazing domestic thriller with a gripping storyline, vivid dialogue, a palpable sense of place and time, and a compelling cast of characters that I can't get out of my head. 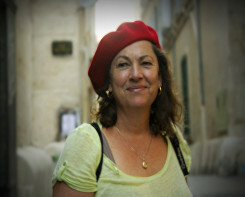 Carol Cooper, Contemporary Women's Fiction author. I have to say this was one of the most compelling reads I have read. Carol Ravensdale, reader. ... nothing better than a good twist or two in a plot, but this was a first for me - one final hammer dropping on the very last page that made my jaw drop! Cindy Taylor, BookBlogger. ... as well-written psychological thrillers often do, it makes you question everything you thinkyou know, culminating in a true twist of an ending that both shocks and makes you ask "Why didn't I figure this out sooner?" Courtney J. 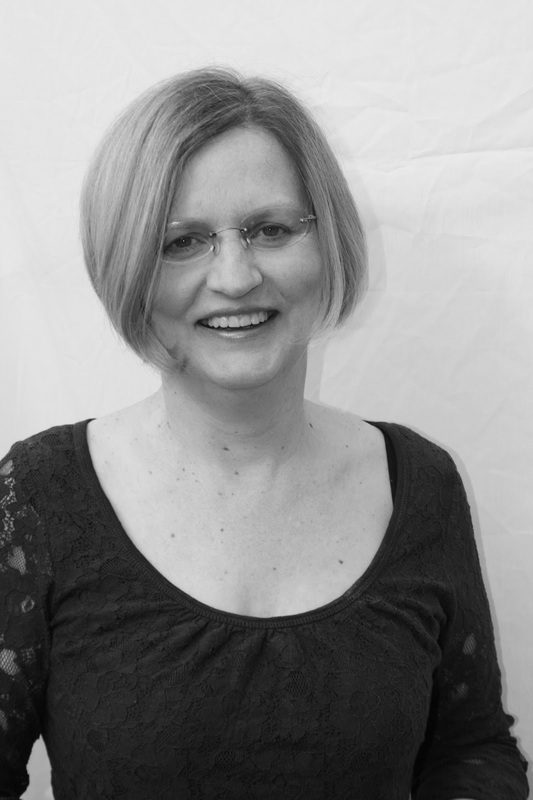 Hall, historical fiction, romance and contemporary author. 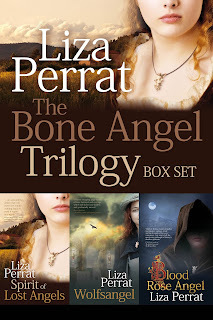 Sign up for her new book releases and receive a FREE copy of Ill-Fated Rose, short story that inspired The Bone Angel French historical series. 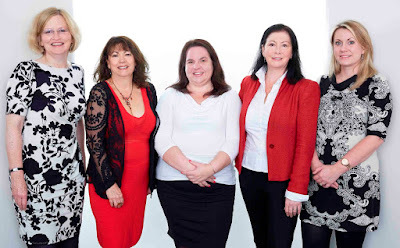 Thinking of Forming an Author Collective? Before answering these astute and vitally important questions, we need to state right from the start that we don't know all the answers. Many collectives we've spoken to have fallen at financial or personality hurdles while we've managed to survive and thrive. We're not quite sure how, as we've had a fair few scrapes and stumbles along the road. One thing we knew from the off is that we liked each other's writing and respected one another's critical perspective. But whether that would make us good business partners was anyone's guess. Triskele came into being as an act of trust - three independent partners, working together, sharing costs and maintaining individual rights. Now we are bigger and more experienced, we are an officially registered company with a bank account and administration system. But more important than all of that, we're friends, fellow writers and a well-honed editorial team. Did you set a maximum number of members of the co-operative at the start? If so, how many? LP: No we didn't. We started off as three members from an online writing group, hence the origin of our 3-sided Triskele logo. It wasn't planned as such, more like an organic gathering of like-minded authors, all at a similar stage of the writing process and wanting to self-publish to the highest possible standard, and to help each other reach that goal. Very soon after, we welcomed two more members, whose work we also admired, and who had similar passions and goals. Personally, I think five is a perfect number. Enough people to take up the slack when someone is "out of order" for whatever reason. And that means four fresh pairs of eyes on each manuscript too, which I believe is a good number for an overall critique, and not too many that you end up with too many conflicting opinions. How do you deal with approaches from writers who want to join your collective? JDS: Currently we aren't actively open for submissions to join our collective. Mainly because we work well as a small team and have built up a huge amount of trust between us when it comes to advice and critiquing, and we don't want to spoil that balance. However we do encourage other authors who like the idea of a collective to create their own, find a bunch of friendly writery folk you get on with, whose work you admire and whose opinions you value and support one another. Writing doesn't have to be solitary and the support of a good network of friends who share the same passion as you makes for a great team. Did you sign up for a fixed duration, or can members leave when they wish, subject to removing the imprint name from their books? JDS: It's not something we've ever really discussed. We've all been part of the collective for a long time, when we published our first books. There's certainly no fixed duration, but of course any books published outside of the collective wouldn't feature our logo, for example. I personally published a book on cover design which doesn't fit the Triskele Books brand, so I did that as a standalone project and it doesn't carry the Triskele logo. Even so, my fellow members supported and helped me in its creation. Do you put the collective’s name on the books, e.g. spine, title page, copyright page? JDS: We put the name/logo on our title page, spine, back of the book and then we also have a joint mailing list which we encourage readers to sign up to in the back of all of our books. Did you formulate a written agreement? Including which points? LP: We have no written agreement as such. At the beginning, we had many Skype chats (since we live in different countries), and several face-to-face meetings to define our goals and working methods. This is revisited and overhauled from time to time, or if a problem arises. How do Triskele manage their joint funding? What rules and regs do they have in place to make it run smoothly? GH: Well, I am chief treasurer or top accountant or head of finance or what you will! Basically I just oversee the financial aspects of anything we arrange - be that physical launches or online competition, I just make sure the books balance. I pay the bills as they come in and ensure I send out invoices when required. I keep records of everything and share them with the other members so everything is transparent and I hope to think by now they trust me enough that they rarely bother checking! I guess that in relation to charges, such as web hosting, website design, promotions, ISBNs UK, etc, a member is in charge of all financial transactions, like in an association? Keeping accounts and such? GH: Part of my role as detailed above is to keep the bank account in the black, and to ensure we have enough in the kitty to pay for the yearly fees that roll round. If we need extra funds, say to hire a venue for a physical launch in London, then every member involved in that particular event will all contribute equally. 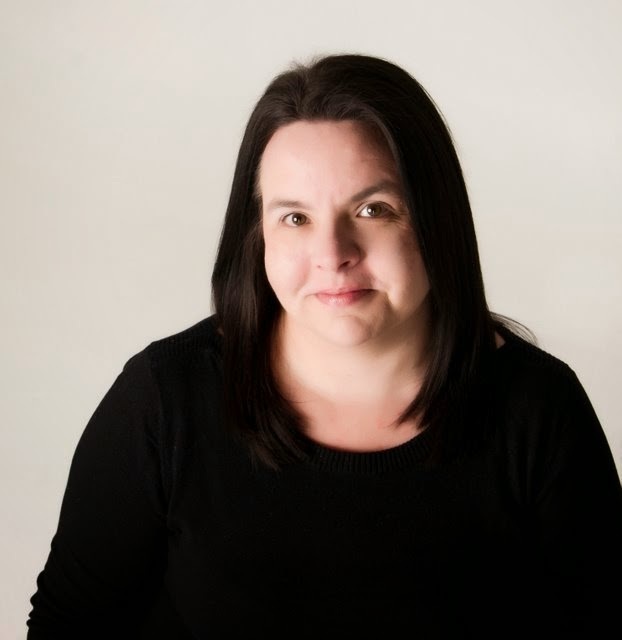 We are a Limited Company in the UK now, so I do use my book keeping skills from my day job to ensure we keep everything legal and above board. How do you ensure everyone abides by the rules and pulls their weight? CT: I am not sure if I'd say that we have rules, exactly. But we do expect everyone to pull their weight. We have a pretty regular pattern of things we are each expected to contribute to, and a work plan (refreshed weekly) that sets out what's expected to go into each of those slots. Nominally, once every five weeks, when our turn rolls round, is when we make sure we have completed everything we are supposed to have done. In practice, most of us probably do those things as and when we can fit them in. That workplan is checked regularly, and if there are gaps that need to be filled, we get a nudge. Then at least once a year we do a big review of how everything has been going - if people have any ideas how things could be done better, or if anyone is struggling to cope. And we adjust accordingly. How do you manage dispute resolution, in the event of a disagreement? CT: Perhaps because our joint financial commitment is minimal, we have been fortunate not to have any really serious disputes. But of course we have disagreements. The key is keeping channels of communication open, and talking things out, not bottling them up. GH: So, my other badge as well as finance is social media. I run the Facebook and Twitter accounts which are regularly updated daily or weekly. If I'm away or extra busy, someone else will always step in and help out. Other members take up the slack with Instagram and Pinterest when we have something to promote, and we all try to share our posts as much as possible. We took this approach as it got a bit confusing at times, not knowing who was posting what and when, so now if anyone has anything they want putting out on Triskele channels we share it internally first to keep things clean and ensure we don't duplicate posts. What joint marketing activities do you carry out? CT: We have the Triskele website and blog, which we use, among other things, as a showcase for our work. This year, for example, we have having a once a month feature on the blog focusing on one of our books in particular and talking about the inspiration behind it. In addition to that, most years we try and do one Big Thing, where we are not necessarily pushing our own books, but promoting the Triskele name. We have run three so-called 'Indie Author Fairs' - pop-up bookshops where indie authors could come and sell their books directly to readers. The last of those was combined with a one-day Lit Fest, where panels of authors writing in different genres discussed their work. And this year we are running the second of two competitions to win a year's mentoring, with the aim of taking a finished manuscript and making it publication-ready, with editing, proofreading, page-setting, cover design etc. Our first winner went through the process, decided to try for an agent and got one in a matter of days! What do you do about marketing when there are gaps in releases? JJ: We try to keep a bubbling profile, publishing a blogpost per week under the Triskele name. We also publish articles on Words with JAM magazine for writers and reviews on Bookmuse for readers. Aside from individual promotions and advertising, we watch out for opportunities and alert one another. We all jump in and trumpet a member's new release and usually have a physical event each year to promote all our releases and drink Prosecco. Every week, one of us is on duty, stoking the fires. In addition to a Triskele website, what other joint social media platforms would you recommend? JJ: We have a Facebook, Twitter, Goodreads and Pinterest presence in addition to the content delivery above. Others have had success with LinkedIn or Instagram - whatever feels right for you. How do you co-ordinate your public face, i.e. website, blog, FB/Twitter, etc. Do you use a schedule? And perhaps use a shared Dropbox folder to share documents between all members? GH: I may have covered this in my previous answer, but we mostly use our private Facebook group for internal chats and shares, or we add things to our weekly round up emails, and edit them via Google. Nothing goes public until it gets the thumbs up! Website updates are agreed internally and then either myself or Jane will add new books or information as needed. Has your collective free short story anthology been a good draw and created traffic to your site with resulting sales? JJ: Our three collaborative publications - A Time and Place boxset, A Taste of Triskele short stories and recipes, plus our collaborative non-fiction book A Pathway to Publication - all earn us a steady trickle of income. On top of that we use an Amazon affiliate code to bring in regular pennies. The great thing about the boxset and story collection is they don't need any maintenance. I'd be hard pushed to define which of our myriad funnels brings most traffic to our site, but people do come. Self-publishing: A number of people mentioned that they’d find really useful a step by step guide to what needs to be done and by when, when you are self-publishing. JJ: Pick up A Pathway to Self-Publishing. You can get it for free by signing up to our newsletter. It covers everything we've learned and is constantly updated. Or poke about on our website and find many useful articles on your particular interest. Or join The Alliance of Independent Authors. 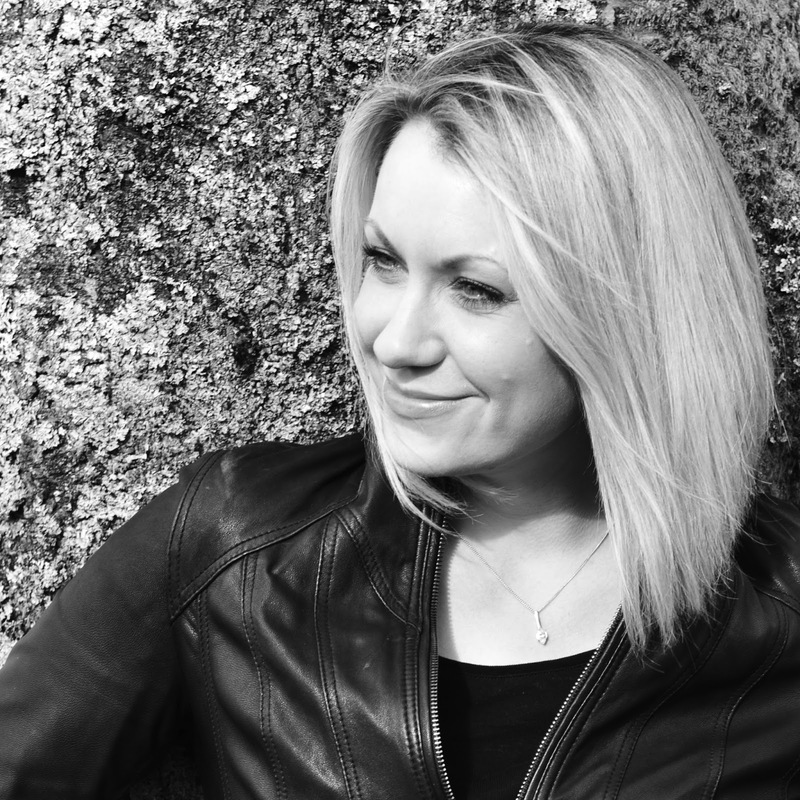 Do Joanna Penn's Author 101 or David Gaughran's Let's Get Digital. There's so much information but all of it is constantly changing. This is one of the biggest advantages of operating as a collective - five minds watching, testing, learning, writing, reading and communicating. Final point: When we started publishing as a collective, it was almost unheard of. So we sought out other collectives to interview, compare notes and learn from each other. 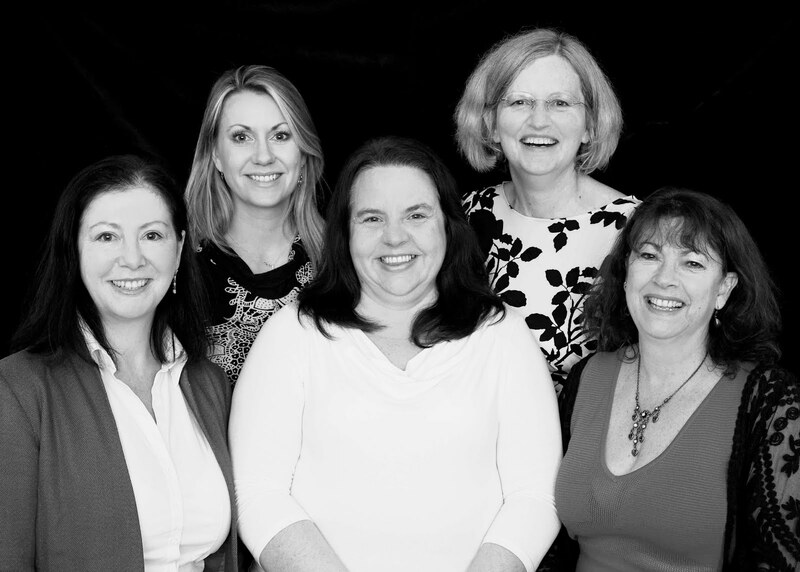 You can find all our interviews here and we would be so very pleased if you came back to tell us about your successes. Thanks for the smart questions! 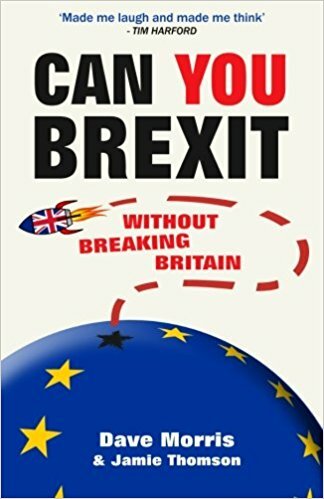 Dave Morris, author of Can You Brexit without Breaking Britain?, talks to JJ Marsh about the book, the concept and the collaboration. Hi Dave and thanks for talking to us. For those unfamiliar with the format, could you briefly explain how an interactive gamebook works? The reader takes the role of the prime minister, it’s all told in second person, and the choices you make take you to different numbered sections. “If you want to explore a free trade agreement, turn to 123. If you propose to stay in a customs union, turn to 456,” and so on. The creative process is really just what any writer does as they construct a story. You imagine the things the characters might do and what the consequences will be, the only difference being that in a gamebook you don’t prune away all the other branches of the story tree. Of course, the choices you give the reader have to be interesting. Not just “what do you have for breakfast?” Well, actually that is one of the choices in the book, but it’s a subtext for a more important question about international trade. And as the reader picks from all the options, they’re effectively creating their own unique story as they go. I’m guessing the genesis of this was a combination of passionate views on the handling of Brexit and the right combination of your and Jamie’s skills. We do both feel very strongly about it, although as a matter of fact we don’t share the same views about either the EU or UK politics. I found I kept getting sucked into arguments on Facebook that were just a waste of time, so one day I logged out of social media and decided, okay, let’s channel all this passion into a book. Jamie and I both used to write choose-your-own-adventure style gamebooks at the start of our careers, and we’ve also spent a lot of our careers working in the computer games business. I was a mentor in the American Film Institute’s digital content lab, which explored ways to connect emotion, storytelling and interactivity. So pulling all those strands together for this project made perfect sense. Didn’t it seem like a daunting task? Fortunately I go into every book with rose-tinted specs and the feeling that I can fly. I thought this one might take four or five months at most. By the time I realized the real scale of the work I was, like Macbeth, stepped so far in blood (or in this case in IMF reports and select committee transcripts) that I figured I may as well keep slogging through to the other shore. Tell us about how you and Jamie work together. I started out by designing a modular structure so that each of the ten major topics (trade, defence, the NHS, immigration, etc) could in theory be written by a different author. Jamie took a couple of those modules, but more than shouldering part of the work he came up with the voice of the book. If it had been left to me it would have been accurate and informative, which hopefully it still is, but Jamie has a great sense of humour (he won the Roald Dahl Award a few years back) and he found a way to keep it funny and entertaining at the same time. Apart from posing the puzzle of trying to extricate the UK from the EU (or not), this book entertains the reader with acerbic political satire. It looks effortless but the knowledge behind such choices and wit must be considerable. It maybe says a lot that the first comparison I reached for was Macbeth. Every day I was looking at as many diverse sources on each topic as I could find, loading it all into my head, reading reports and economic models and what politicians had actually said again and again until the pieces of the jigsaw started to fit. They say you really have to understand something to explain it simply. I did the heavy lifting so the reader doesn’t have to. The humour and insights have quite rightly been compared to The Thick of It and Yes, Minister, both of which place the real power in the hands of ear-whisperers – the civil servants and government advisors. As authors, the information you choose to give the PM casts you in that role, wouldn’t you say? Where is the real power? Sir Humphrey would be holding his head at the prospect of a government issuing endless mission statements and no plan, but his position these days has been usurped by special advisors whose loyalty is to the party (or more often just to individuals) rather than to the country. What the reader will soon discover is that you can’t just point yourself at a goal. You have to contend with other elements in the party who will block whatever you try to do unless you can find ways to accommodate or outmanoeuvre them. In order to win, you have to stay in power – which incidentally explains a lot that’s happened since June 2016. The issue of the referendum has caused much polarity of opinion. What kind of reader is this book aimed at? Lots of people really want to understand Brexit for themselves but they feel overwhelmed. Who can blame them? One politician says one thing, another is wheeled out to say the opposite. The debate soon becomes abstract and confusing. Yet there is a truth to be found, and people care about their future, so the point of the book is to give them a way of really getting to grips with the reality of Brexit. Then they can discuss it and make an informed decision. Democracy needs this. We can't just switch off such a vitally important issue because we’re bored. Is your aim to change minds? We want to open minds. In the book there are ways to achieve a successful Brexit or to reverse it. But not every goal can be achieved, and you can’t get anywhere without a plan. There are trade-offs. Compromises must be made. That’s how the real world works. What I hope is that everyone who reads it will discover how to better examine and articulate their views, and to appreciate where they might make common ground with the half of the electorate who went the other way on 23 June. We need more tolerance, and we need everybody to open their eyes about what negotiating Britain’s new relationship with the EU will involve. I want to see an end to all the “enemies of the people” invective and to help restore some of that famous British common sense. 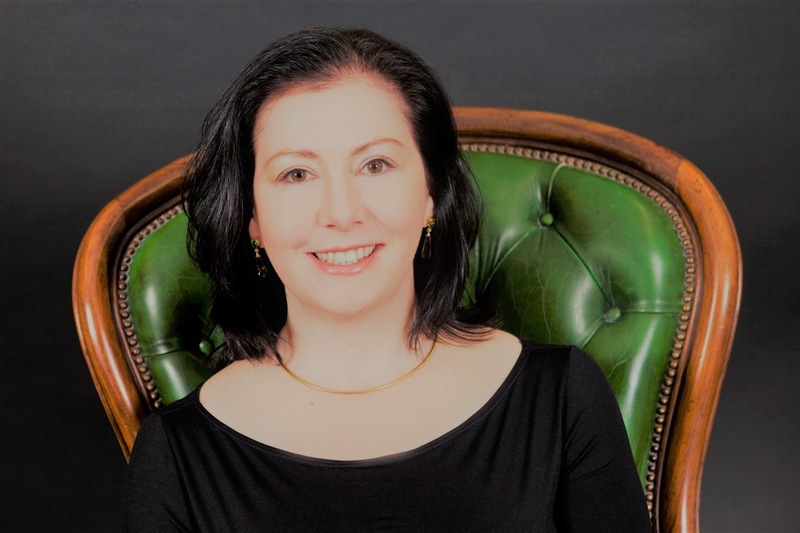 Obviously the advantage of your publishing now is that it’s extremely topical, but with the ground shifting every day, are you concerned the book will date? Or does that not matter? The book I’m currently reading is Graves’s Goodbye To All That, and I’m getting pretty steamed up about the botched military planning on the Somme a hundred years ago, so I don’t think these things suddenly cease to matter. There are lessons to be learned for the future. People are always going to want to look back and see what we could have done differently. Added to which, Brexit isn’t going to stop affecting us on 29 March 2019. Even ten years on we’ll still be feeling the effects of decisions being taken now. The generation who by then will have grown up in post-Brexit Britain and Europe will want to understand it for themselves. Have you sent a copy to Theresa May? Or across the Camden/Islington border to Boris Johnson? I'm equally drawn to both stories and equations, to both literature and science. 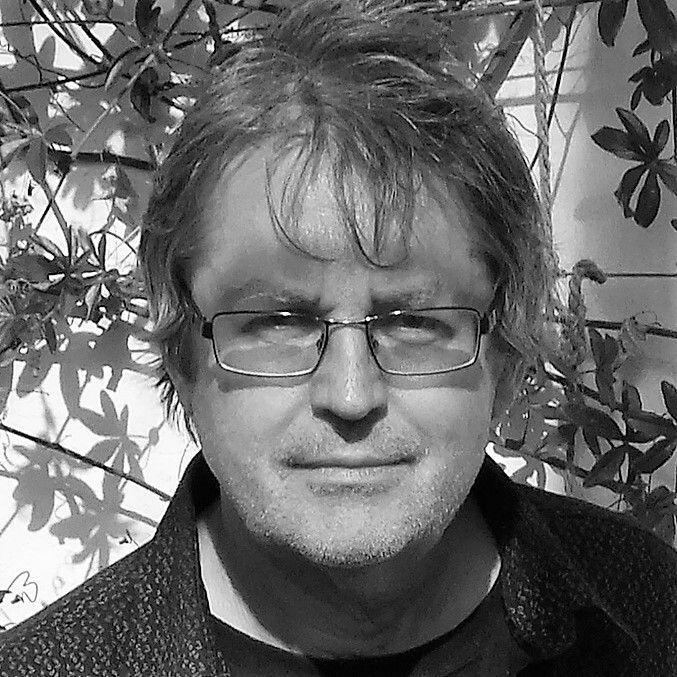 Over the years I've written novels, textbooks, comics, gamebooks and television shows and I've designed videogames, boardgames and role-playing games. And co-authored a paper on the propagation of light delivered to the Institute of Physics. What can I say? I thrive on variety and I'm always looking for a fresh challenge! 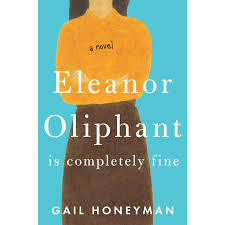 Eleanor Oliphant has a routine. She travels to work by bus, keeps her head down in her accountancy job, eats the same meal deal alone in the staffroom while doing the crossword and doesn’t talk to anyone from Friday night (when she buys two bottles of vodka to get her through the weekend) till Monday morning. She’s built a bubble around herself and avoids contact with other people while at the same time being desperately lonely. Then an incident in the street draws her reluctantly into the lives of strangers. Here Gillian Hamer (GH) and JJ Marsh (JJ) discuss their thoughts on the book. How did you react to the character of Eleanor? (GH) I think I went through a wide range of feelings and there were tears as well as laughter. At first I found her awkwardness funny, then quirky, then endearing, then sympathetic and finally understanding. 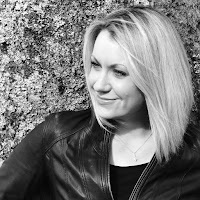 It wasn't long before I found I could second guess things from her perspective which meant the author had achieved what she set out to do and connected the reader with her character. (JJ) I'd agree with that. You find yourself 'becoming' Eleanor, but not without a huge amount of wincing on the way. I read something in the news this week that one of the factors used to measure human happiness is one's connection to your community. Real interactions, on the surface meaningless, reinforce that you are part of something. By around the middle of the book, I was struck by how much has been written about various human social disorders, but so little about the simple fact of being lonely. The perspective is tightly contained within Eleanor’s point-of-view of the world, allowing the reader both insights and distance. How well do you feel that worked? (JJ) The clash between the reader's understanding of social morés and Eleanor's is where the laughter, awkwardness and self-awareness happens in this book. When she asks Raymond for the money for his Guinness stopped me in my tracks. It's like being a foreigner in a culture you just don't understand. The other area I felt worked well was her obsession with the musician. She allows the reader droplets of information which we can decode, but Eleanor cannot. I came out of this book feeling slightly ashamed of myself and determined to make fewer assumptions. (GH) Really well and from a writer's perspective it can't have been easy to achieve. Like I said, I quickly saw through Eleanor's eyes and judged the world as she did. Her distaste at poor hygiene or text speak became natural as that is what we came to expect; her reliance on alcohol and the normality of this to her told us so much with about her inner pain without having to explain. But we were also given a glimpse at how the outside world viewed Eleanor through things like interaction (or lack of) with her work colleagues and her sessions with her counsellor which finally opened her up to the real world. In terms of distance, there is a clever balance. Societies' general contempt for mental health issues come under the spotlight here, and it can make for uncomfortable reading which is no bad thing. Due to her profound isolation from the world, her encounters with the general public range from hilarious to cringeworthy. Which moments stand out for you? (GH) Oh there were some laugh aloud moments. One that had me in giggles was the description of Eleanor's first introduction to dancing the YMCA. There was no telling - all showing - and it was hilarious. Another was her first visit to a beauty salon and her first bikini wax - I think you can most likely fill in the gaps there. A cringeworthy moment was when she began to attend parties with Raymond and realised from a previous faux-pas that it's polite to take gifts even when the host says not to - so took what she thought would be most useful - a packet of cheese slices and half a bottle of vodka. As ridiculous as that would sound to anyone who hasn't read the book, to those of us who know Eleanor it's completely understandable. (JJ) The bikini wax had me in fits too. As did the discussion of a suitable drink with the barman. But I found her interactions with the owner of the corner shop quite touching. Most of all, I found her snobbish judgementalism - the root of which we grow to appreciate - so entertaining. "I often find those most likely to wear sports clothing are those least likely to practise it." She's not quite the 'idiot savant', but her observations veer close to the bone. Eleanor may be the central focus but many of the minor characters played key roles. Which of the supporting cast did you love or hate? (GH) Raymond and his mother stood out for me. His mother in particular seemed to touch Eleanor in a way that confused her to begin with but then opened her up to most of the journey that followed. Such a simple gesture as making a cup of tea, and not having to ask how she took it, showed a caring side of motherhood that Eleanor had never experienced. Raymond was a perfect friend for Eleanor. His character came through right from their initial encounter with the elderly Sammy and his accident in the street. Raymond came along at a time in Eleanor's life when loneliness was finally having a profound effect on her even though she had spent so many years telling herself and everyone else that she was 'completely fine.' The way Raymond handled Eleanor through her meltdown was testament to his character. He bought her flowers for the first time in her life, he did her laundry, got her shopping in - all things that no one had ever done for her before. As a complete antithesis, if there was ever a character worth hating in a novel, it was Eleanor's birth mother. Even without knowing the real depths of her depravity for most of the book, by the time we came to the big reveal we already detested her with a passion. It was testament to Eleanor that she had survived to see her thirtieth birthday - not just physically but mentally too. This was a woman who had no business terming herself as a mother to anyone and how she manipulated and terrified Eleanor from afar was awful to read. (JJ) Oh her mother was a monster all right. But part of me felt Eleanor's relationship with her was something like 'better the devil you know'. Her own willingness to accept that bullying behaviour spoke volumes about her not being anywhere near 'completely fine'. The takedown of the musician really entertained me - hung by his own petard, or in this case, his own Tweets. Whereas her boss, Sammy and his family, Raymond and his mum showed all those little kindnesses that allowed Eleanor to develop the smallest of bonds. I found the scene in the hairdresser quite emotional. One other moment that struck me was when as a child, she went to a friend's house for tea. Served classic 'kid food', she is appalled. The friend's mother asks what they normally have for tea, to which she rattles off an absurd list of pretentious delicacies. My heart broke for her. Through no fault of her own, she has become insufferable. The contemporary story is woven through with revelations about Eleanor’s past, building to a climatic end. Did it come as a shock or had you guessed? (JJ) The clues had pretty much spelt it out for me so there was an odd mixture of vindication and horror at realising what had happened. Somehow, the reader comes to terms with the past at the same time as Eleanor. We have to face those formative events with her in order to see a future. (GH) Without giving away the ending, I had mostly guessed where the story of Eleanor's past was leading us. I guessed there was a sibling involved but hadn't expected the final twist. It was like the missing piece of a jigsaw for me and suddenly everything made sense. What was your take on the pace of Eleanor’s development? (GH) I think it was pretty dramatic considering she'd spent twenty years in some kind of self-imposed stagnation. But it was getting a taste of life and love - Sammy's family, her work promotion, meeting Raymond and her feelings for the musician - that combined and speeded up her development. But then the author cleverly chose to start the story at a point in her life when Eleanor was desperate for change - whether she'd acknowledged that herself or not. (JJ) Pace was the one thing about this book I didn't enjoy. For me, there was a circularity of hints and allusions to the past which began to drag. Whereas the steady luring of Eleanor for her solitary life moved as slowly as it must. Gilly, you're right in saying she was ready for a change, but I was a wee bit frustrated that it took so long to draw back the curtain after so many clues. The novel is Honeyman’s debut and Reese Witherspoon has bought the film rights. How do you think the book will transfer to screen? (GH) I am not totally sure and do have reservations. I guess it will depend on the skill of the director and producer. As so much is seen internally from Eleanor's perspective, I feel it will be a hard task to get the viewer onside as easily as the reader. But Hollywood clearly sees potential so let's hope they do the book justice. (JJ) Well, it's all going to depend on who they cast as Eleanor. Her personality is what drives this book and no matter how anti-social or misfit her behaviour, the viewers needs to be on her side. The readers have long since been lured in. I think if they don't add too much syrup, this could be a very enjoyable movie.